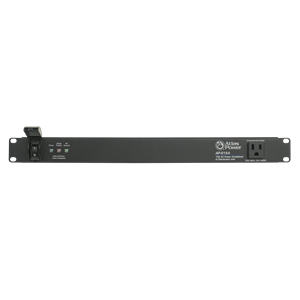 The AP-C15D is been designed to meet most installation requirements for AC power distribution and equipment power protection. The 15A compact 1RU unit AC Mains Voltage can be monitored via the front panel from the precision Digital Volt Meter. 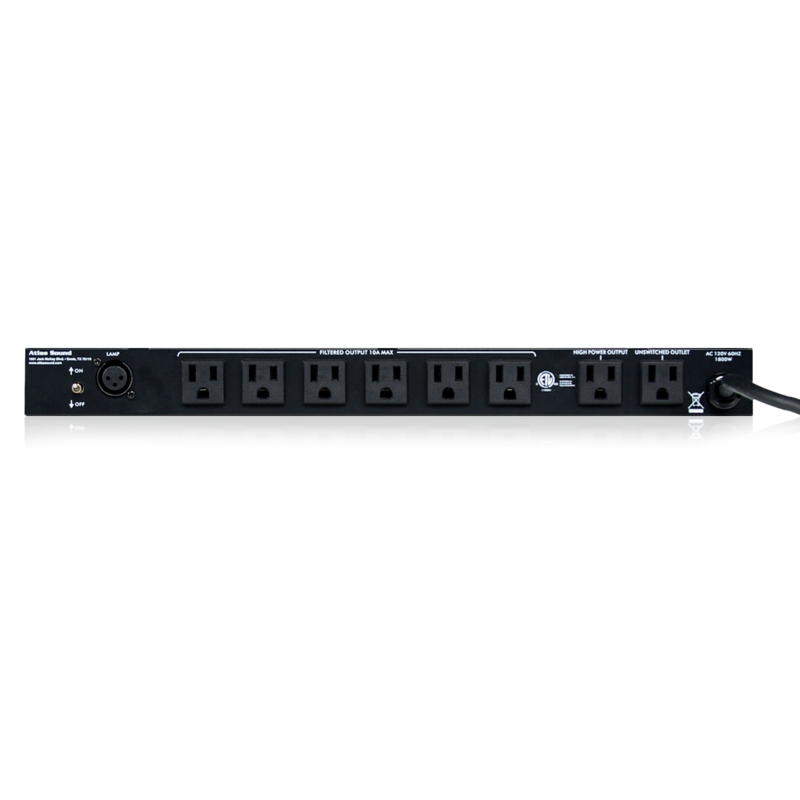 To light your rack, the AP-C15D has incorporated a front panel pull-out dimmable LED tube light. 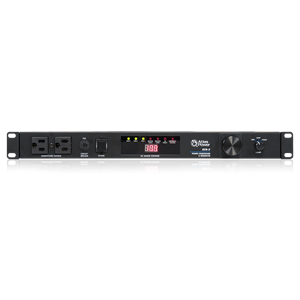 The rear of the rack can be illuminated by the optional 16" gooseneck LED lamp connected via an XLR style socket (AP-GNL18). The AP-C15D features noise filtering for eliminating unwanted Radio Frequency Interference (RFI) that can be introduced into the AC lines by nearby radio transmitters or wireless products. EMI filters are also incorporated to reduce noise from Electromagnetic Interference (EMI) generated by items such as electric motors and switching power supplies. The Abnormal Voltage indicator on the front panel will flash if the AC Mains is between 101VAC and 107VAC or 128VAC and 132VAC. This is to inform you that a surge occurred and may have damaged voltage sensitive equipment. 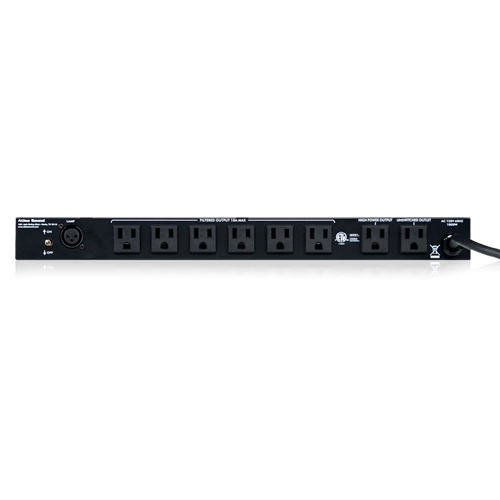 If an extreme voltage swing occurs above 132VAC or below 101VAC, the AP-C15D Extreme Voltage Shutdown (EVS) protection circuit will automatically activate and turn all outlets off until it is manually reset. 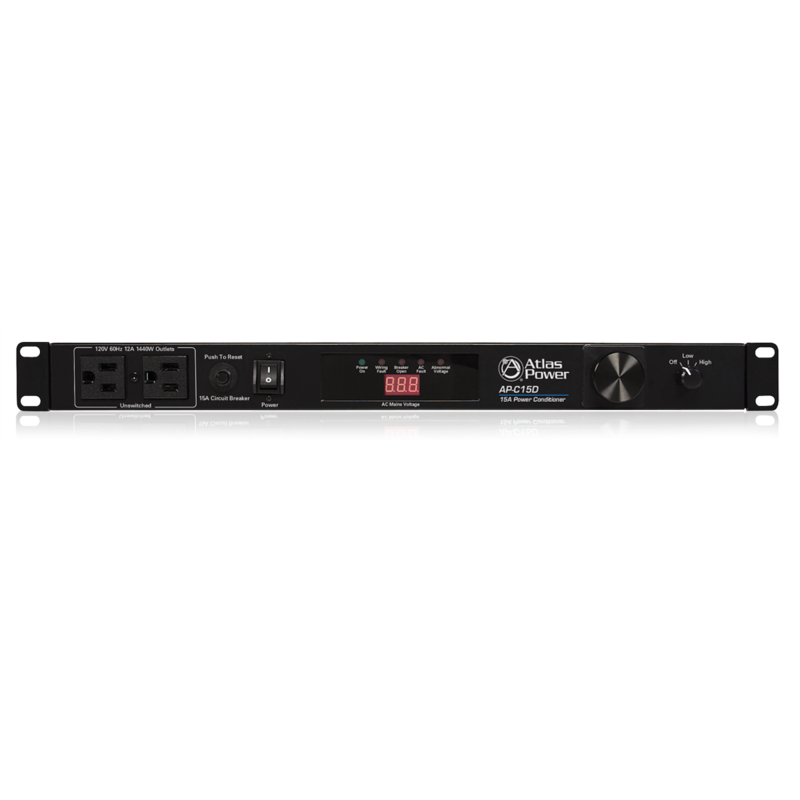 The AP-C15D offers intelligent power management control, along with noise filtering and spike/surge protection making it the most compact, effective power management protection system on the market today.